Three Milwaukee roommates say they solved their own crime because when they needed help from police they did not get it. Instead, one of them ended up charged with disorderly conduct and battery. MILWAUKEE — Three Milwaukee roommates say they solved their own crime because when they needed help from police they did not get it. Instead, one of them ended up charged with disorderly conduct and battery. On April 7th, Nicole Schneider, Jesse Rodriguez and their other roommate were burglarized at 10:30 in the morning. "He had slipped into the window next to ours, into my roommates bedroom," said Schneider. "Grabbed a bunch of his stuff and walked out the front door and grabbed my laptop as he walked out." The three reported the crime to Milwaukee Police. Schneider then started to watch Craiglist and saw her computer go up for sale. She called the officers twice to tell them. "I was dead certain it was my computer," she said. "And I called the police again and the man who answer the phone was like, 'Oh they were suppose to call you back,' but they never did." Computer stolen by burglar that was used to crack the crime. 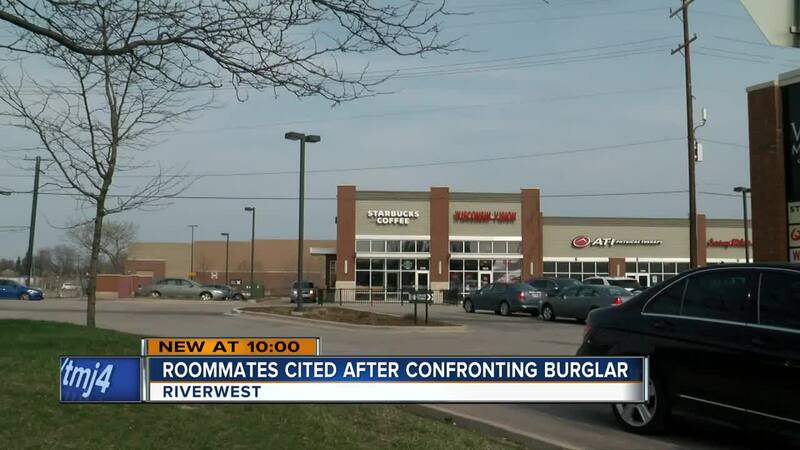 So Schneider and her roommate set up a meeting with the suspected burglar at the West Milwaukee Starbucks. Her roommate went inside to meet him. He matched the serial number to Schneider's computer and then noticed that the suspected burglar was wearing his clothes. "That is when my roommate just got completely upset seeing this gentleman was wearing his shoes," said Schneider. "When we have a lead you ignore us, so you are kind of forced into the position to investigate or look into the leads you might have," said Rodriguez. West Milwaukee Police said the other man is charged with possession of stolen property but not the robbery because crime happened in Milwaukee, so Milwaukee Police would have to press charges. So far only the computer and designer shoes have been returned. The rest of the items are still missing. Milwaukee Police said they are still investigating. The department said if you ever see your stolen property online, do not confront the individual and call police. If you do not get a response from an officer involved in your case, call back and ask to speak to a supervisor.